Mini Crown Tac in gold. Price is per pack, 12 to a pack. 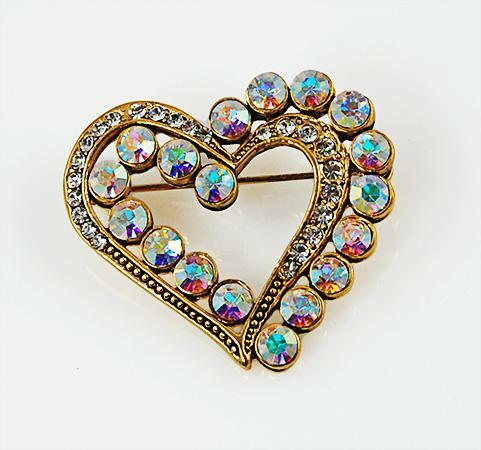 Beautiful Austrian Crystal Heart Pin set with Aurora Borealis crystals, in a silver finish.